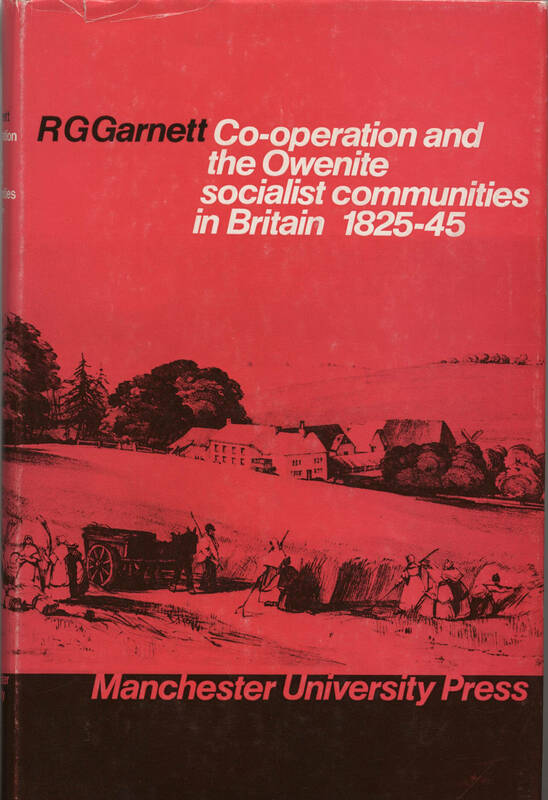 “This book deals in general with Owenite socialism and the genesis of the Co-operative Movement in Britain. It is possible to study Owenism from at least four approaches: first, a tracing of the historical antecedents of Owenite and early socialist thought; second, an organisational study of the institutions of the Owenite movement; third, an interpretation of the influence of Robert Owen on his followers; last, an appraisal of Communitarian thought and experiments. Because of their considerable overlap, all four approached are utilised here, but the emphasis is directed to an investigation and appraisal of Communitarianism in the context of 19th century Britain; this approach promises to increase our awareness of working class aspirations, beliefs and organisational experience. Community experiments were the main continuing interest and activity of the Owenites, therefore this work is based on a critical investigation of the three leading communities – Orbiston, scotland (1825-27), Ralahine, Ireland (1831- 33) and Queenswood, Hampshire (1839 – 45). This study also seeks to place Robert Owen in clearer perspective through an examination of the extent to which his precepts were implemented by his followers. 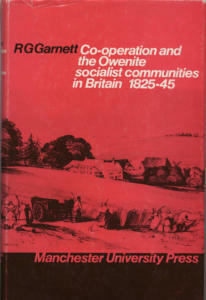 In particular, an analysis of the relationships between Owen, the Owenites and the early co-operators leads to some modification of commonly-held impressions regarding the contribution of leading Owenites and provides a more accurate definition of the origins of the co-operative movement. The impact of industrialisation seen in terms of Owenite socialist reaction adds also to our understanding of maturing capitalism. In conclusion, the study draws attention to the aftermath of Owenism and its permeations into latter-day social idealism and community development”. The author is Principal of Hendon College of Technology.